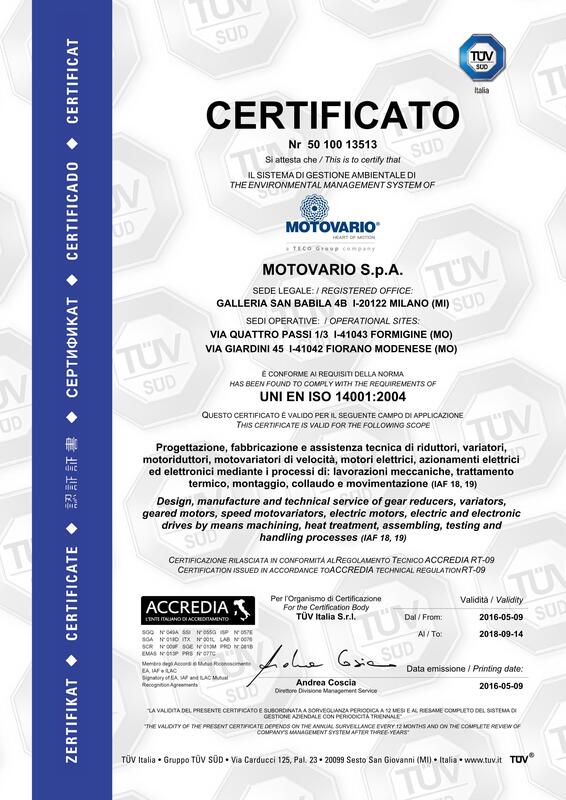 Motovario has obtained the certification according to UNI EN ISO 14001:2015, a regulation that specifies the requirements of an environmental management system (EMS), and aims to continuously improve environmental performance and maintain its legal compliance. 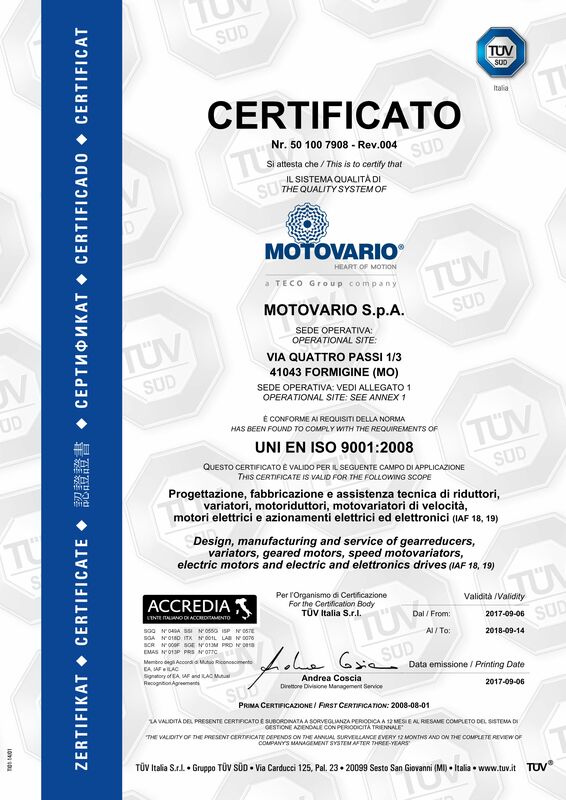 Motovario’s production system has been quality-certified under standard UNI EN ISO 9001:2015 – an international recognition of the company’s quality system as a whole. Attaining this certification testifies to the company’s commitment to constantly improve the products and services supplied. 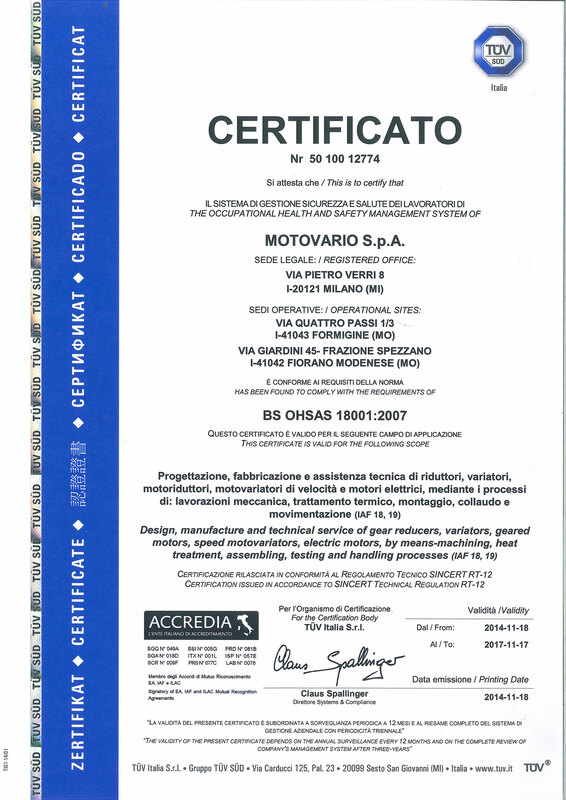 Motovario has now obtained the OHSAS 18001:2007 certification (Occupational Health and Safety Assessment Series), which specifies the requirements of the management system controlling safety and health in the workplace. Adhering to an international standard means giving workers a guarantee in terms of health and safety, as well as increasing the efficiency of the entire management system by identifying risks and evaluating ways to prevent the unforeseen from occurring in the workplace.